This episode features an interview recorded at GESF. This episode is sponsored by Cool Initiatives, RocketFund and features part one of our mini-series with Canvas by Instructure. This week’s episode features my conversation with Geoff Barton, the General Secretary of the Association of School and College Leaders. We talk about what the top priorities are for education leaders, in which situations technology can be a useful leadership tool, and why podcasts are flipping brilliant. This interview was recorded at the Global Education and Skills Forum six months ago. This episode also features part two of our mini-series feature on digital transformation with Kenny Nicholl from Canvas. I kick off by asking him about moving on from his VP role to take on the title of GM for EMEA and all that entails. Our outro includes event and job details. Did you know The Edtech Podcast Festival is coming up? Tickets are available here. A huge thank you to our guests, listeners and sponsors! This final episode of The Pearson series on future tech for education reflects on edtech internationally. What does a review of 130 reports on edtech internationally tell us about best practice and evidence based learning in emergencies and displaced settings? What are the common misconceptions about connectivity as a barrier to edtech, and when are these well-founded? How can technology help scale access to teaching and learning and how do we ensure learners still benefit from mentors and face to face teaching. And when it comes down to it, what comes first on a phone - a learning game or a photo of your loved ones? All this and more in today’s episode. This episode was recorded at The London Festival of Learning and SXSWEDU. This week’s podcast features a smorgasbord of guests. First up, a Chinese AI company in conversation with a US army learning scientist and standards bods on technology in education. We explore what the profession of learning engineering could bring to new software innovation which truly understands pedagogy. IEEE Icicle are seeking help on building up standards in this area and on AI in education and you can find out how to be involved. Continuing the big theme of the London Festival of Learning interdisciplinary learning and knowledge sharing, next we skip over the pond to a past recording from SXSWedu where I talk to Raechel French, an associate from the DLR Architecture Group talking about the use of space design for learning and what she picked up from a year spent researching this in Australia. And finally, I’m chatting to Preben Hanson from Danish company Kubo Robot and Stephan Turnipseed, executive vice president and chief strategy officer for Pitsco Education. We talk about screen-less technologies and the teaching of computing at ever earlier years. If you enjoy listening in and you’d like to support The Edtech Podcast why not check out our Patreon, contact us about sponsoring an episode, or come along to The Edtech Podcast Festival in September? This episode gives you the low-down on my whereabouts for the next few episodes. What does this mean? 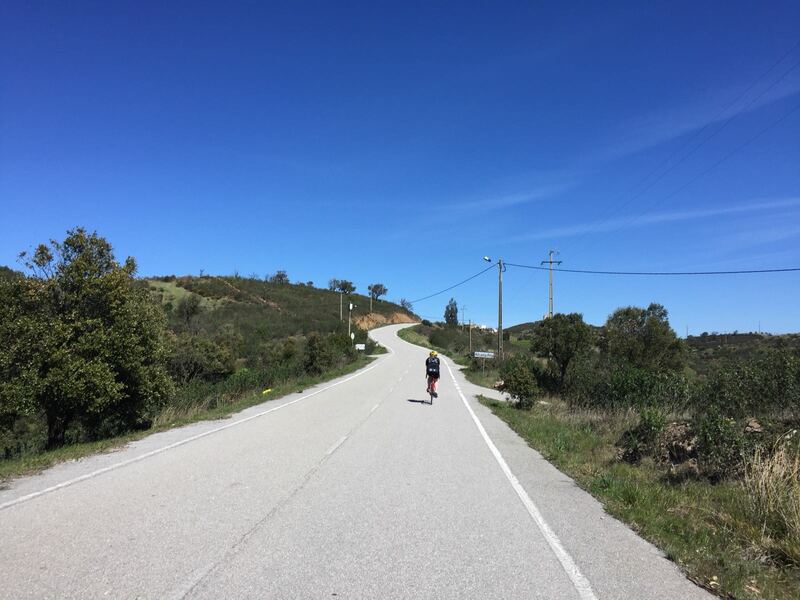 I'm cycling 720km in distance and 16,000m in elevation through the Pyrenean mountain range to raise £5k for Homerton Hospital Charity. I wish you a lifetime free of saddle sore, with open roads and blue skies a plenty. Have a wonderful week! And here is my usual out of office.